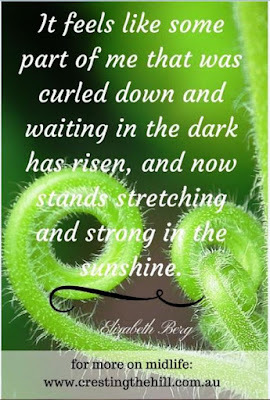 Sometimes I look at my Pinterest Page and am a little amazed at the vast range of quotes I have collected over the years. There is something about a quote that succinctly sums up a thought or a feeling in a way we may not have been able to do on our own. I think I might just be the Queen of Quotes - a title I'm quite proud of really. 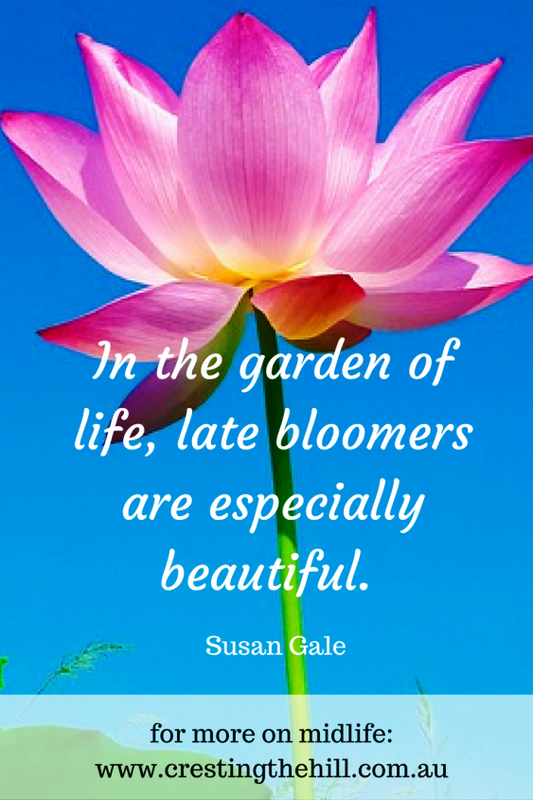 I've chosen 10 quotes and given them a floral theme to tie in with the blossoming of Midlife - because it is a time when you learn to bloom in your own chosen glory. 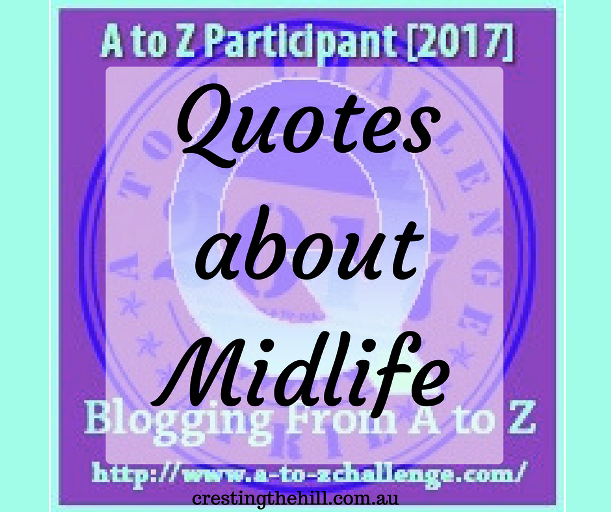 If you'd like to read more about Midlife Quotes you can go visit my Midlife Quotes Pinterest Board. See you tomorrow for R which is for Retirement - Is It Time? That's my favourite too and a personal work in progress. 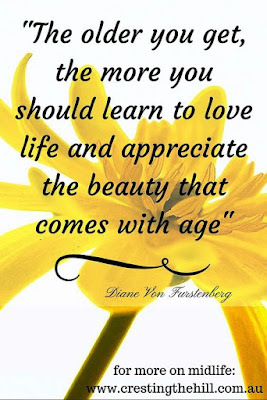 I like the one about how you are handling your age is more important than the age itself, very true for a lot of things in life! 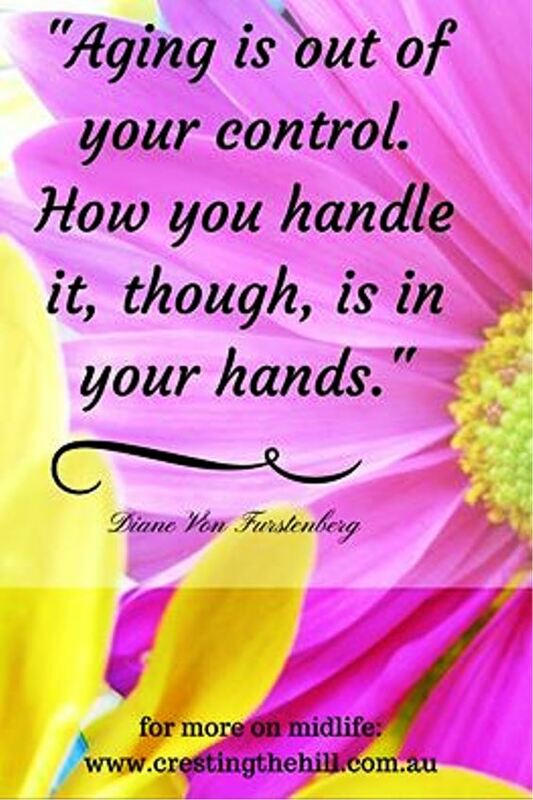 Crisis, challenges, setbacks - it's all about your attitude. 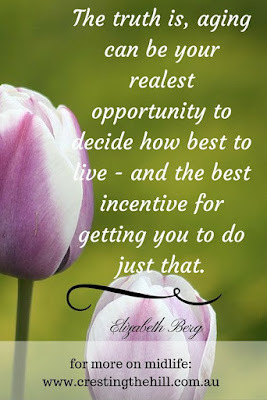 Q for Queen of the Quotes is right! lovely post and very refreshing to find some new ones! Thank you. PS: Leanne, if you like lists of ten you should join me! Love each of them. 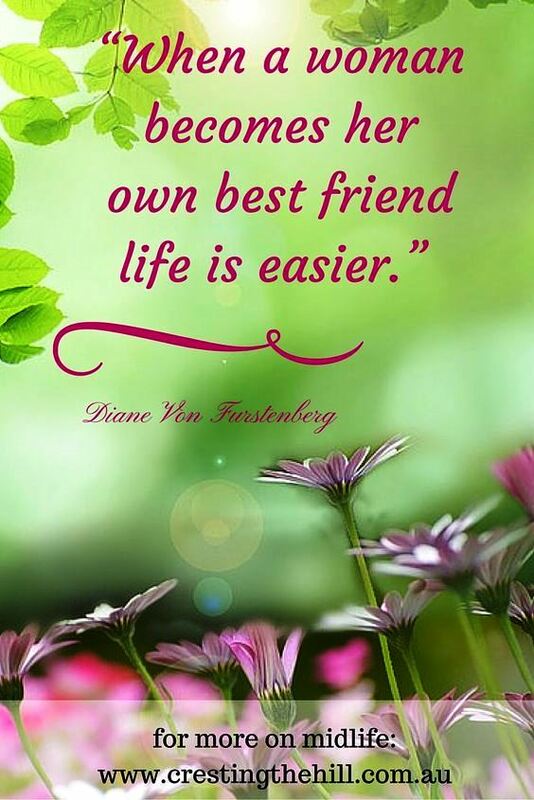 But the one about a woman becoming her own best friend rings so true for me! I love all of these. 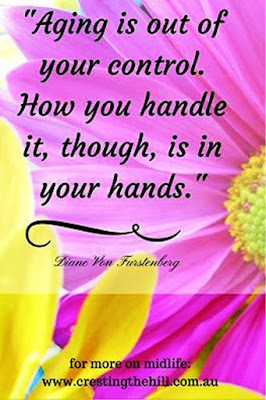 But especially the 'Aging is out of your control--' quote. 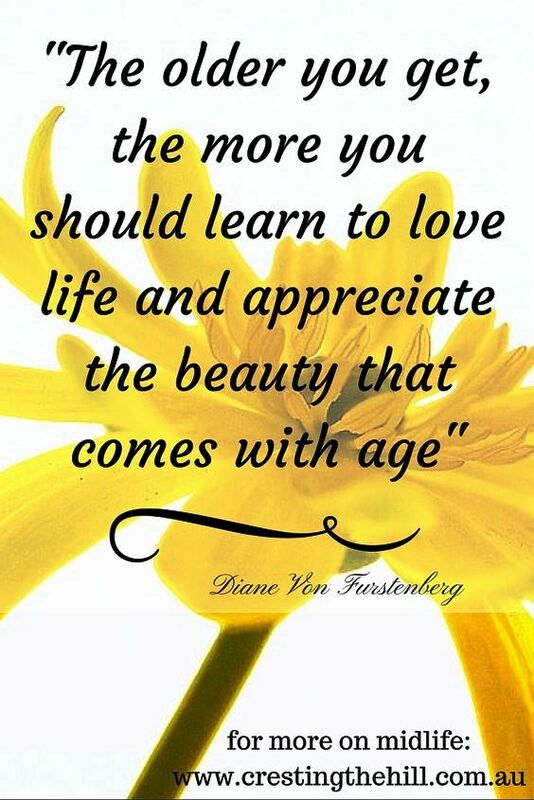 It goes along with my personal favourite: Growing older is inevitable. Growing up is optional! I like them all. 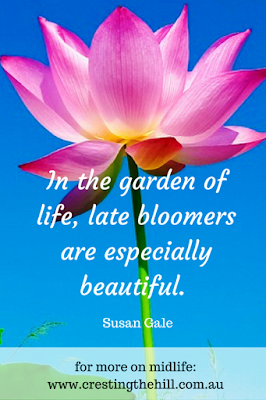 However, I really like the one about being a late bloomer. I feel like I've really come to myself in my forties. I hope it continues to get better and better. What a lovely collection of inspiring quotes. 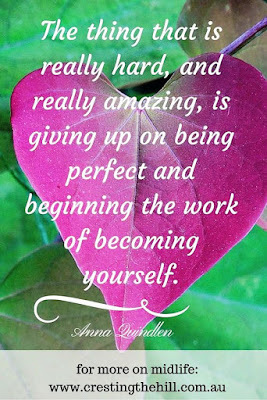 I especially like "The thing that is really hard, and really amazing, is giving up on being perfect and beginning the work of becoming yourself." Once we get to that stage the magic can really happen. And I so wish we as a collective could come to that understanding at a very early age, so we'd spend no time not being who we truly are. That's my dream. A favorite quote to share is by Ram Dass who said "We are all just walking each other home." That's so filled with compassion and understanding and love, and truly expresses how we're all part of one wholeness. Excellent! 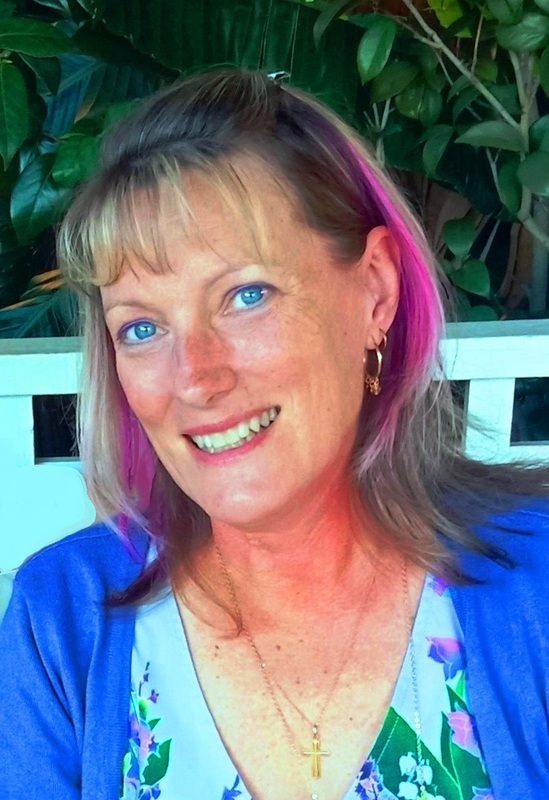 I love the one about 'aging is out of your control' it is so true Leanne. I just don't think of myself as a number but rather enjoy life. Some great quotes here which I will pin. Meaningful quotes..love the one about life being easy when you're your best friend. 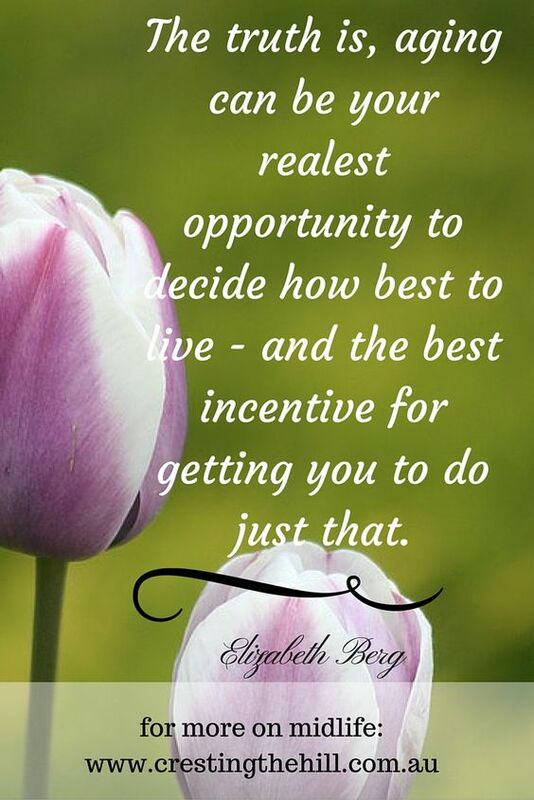 Great quotes! You and Min are quoting twins this week. I love quotes and these are great. It's hard to pick a favorite. There are several that really speak to me. The second one was especially meaningful to me. They are all really beautifully paired with their photos. 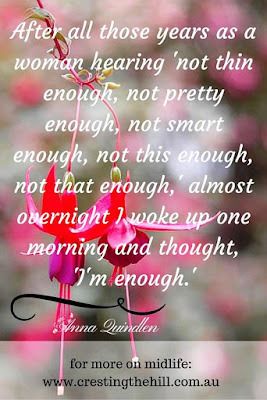 Hard to pick one but I think waking up one morning and thinking I'm enough might be one I'll pick today. 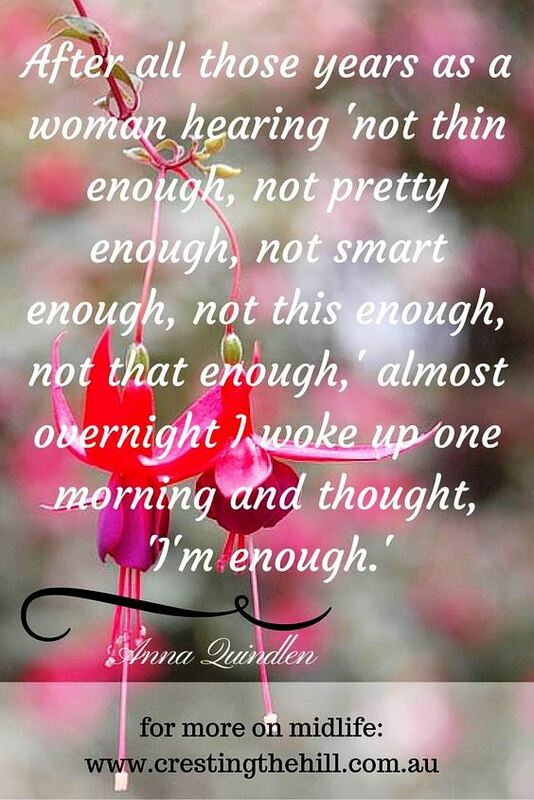 Love all of the Diane von Furtstenberg ones, but I think I like the "I'm enough" quote from Anna Quindlen the best. 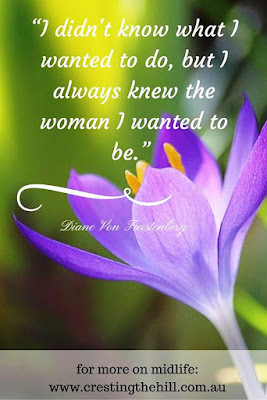 I love the quotes. The Blogger's Pit Stop will feature this post on Friday. Well done.